We all know the hustle. We need success. There’s no other option. Get it by any means necessary. For a lot of cats that looks like crime. But what if crime wasn’t your route? That’s my story. As a young cat growing up in SouthEast DC, I had my fair share of… situations. And I knew the art was my way of making it through. What does this have to do with hustling? Nothing comes easy. Even to be born you gotta do all this swimming, and then a lot of blood is shed for you to even take a breath. So from birth its been a struggle. Infinigrind represents that hunger to do whatever it takes to get your art seen, heard, experienced. Infinigrind is the hunger that fuels success, and the grind to keep that success. Infinigrind is a collective of artist who have given up on complacency and know that we have enough resources and talent to be successful. But its not just about us. If you feel like you represent that Infinigrind spirit, use the hashtag #infinigrind in your social media. We want to know what your grind is! Ask any artist that is under the Infinigrind Artist tab and they will tell you, “art saved my life”. Support us. This is how we feed our children and pay our bills. Local folks with global talent. Each person has their own online presence and personality. 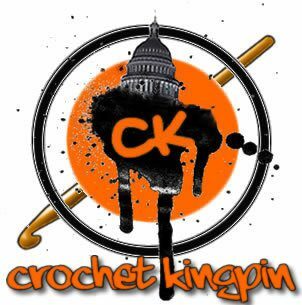 There’s rappers, poets, visual artist, sketch comedy personalities, hosts, photographers, and this guy that crochets… among other talents I’m sure cats didn’t put in their bios. Feel free to follow their links and visit their bios. Get to know them. Click here to zoom on over to that page!